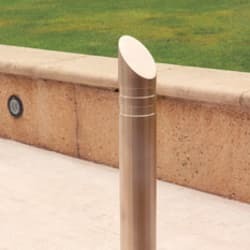 Made from 100% recycled stainless steel, the Rhino M3 Mitre Bollard is extremely strong and requires low levels of maintenance. 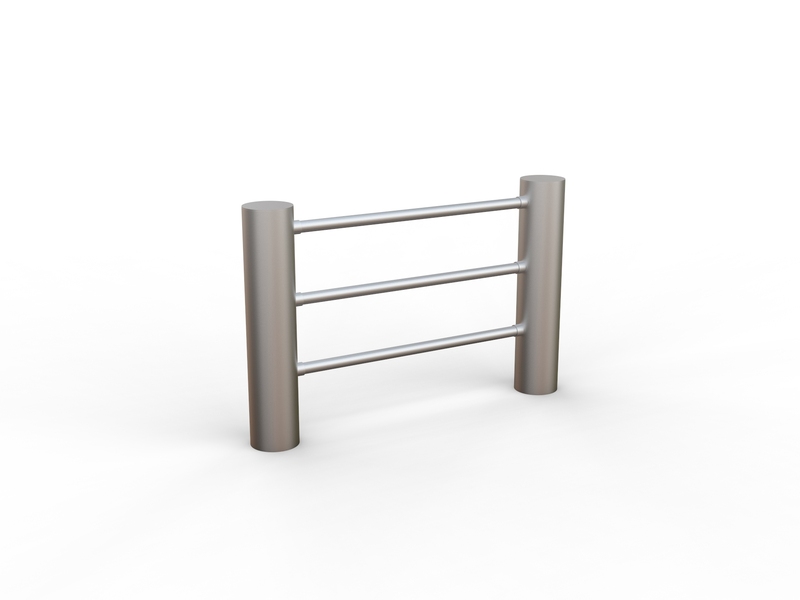 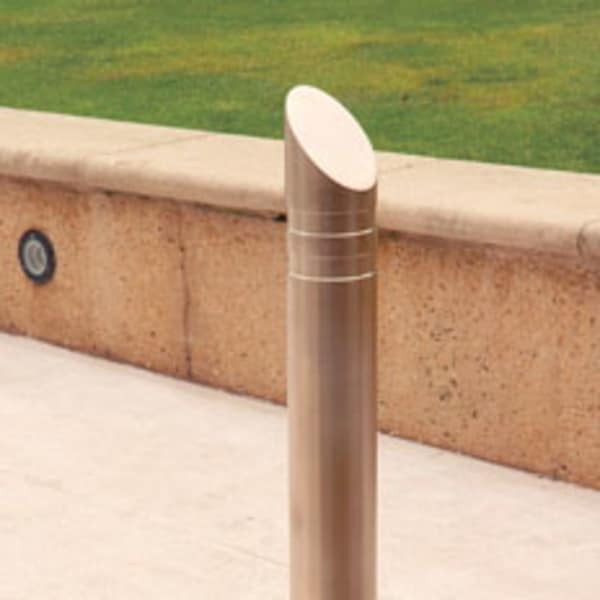 Equipped with a 6mm thick wall for increased strength, it’s ideal for pedestrian walkways and car parks.Marshalls’ Rhino M3 Mitre Top Bollard is manufactured from quality grade 316 stainless steel and its unique design offers a contemporary aspect to any streetscape. 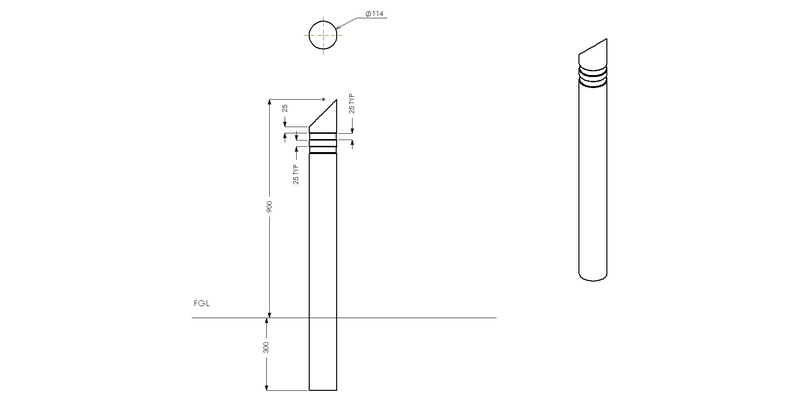 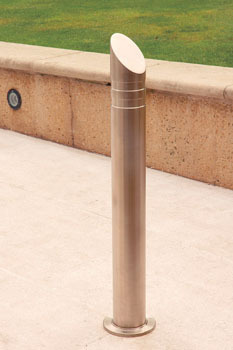 This type of bollard is available in 3 diameter options – 89mm, 114mm and 168mm. 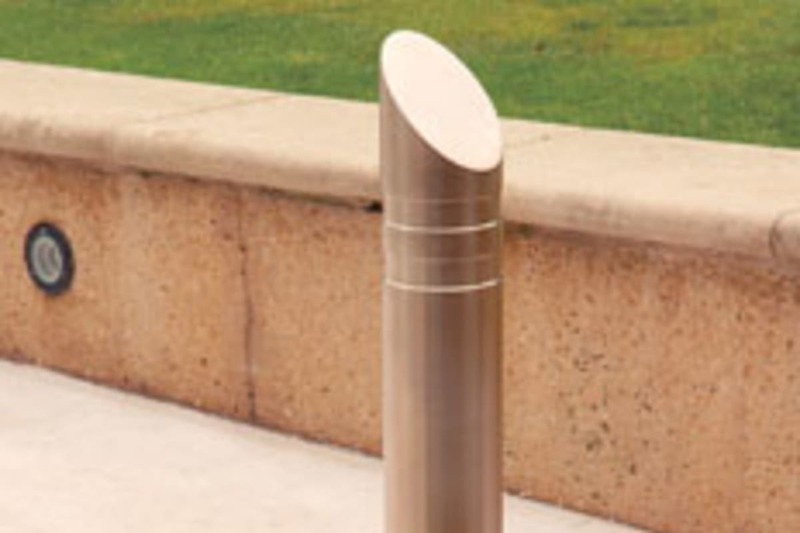 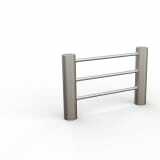 Available with a range of optional extras Rhino Stainless Steel Static bollards can be tailored to suit the requirements of your project.